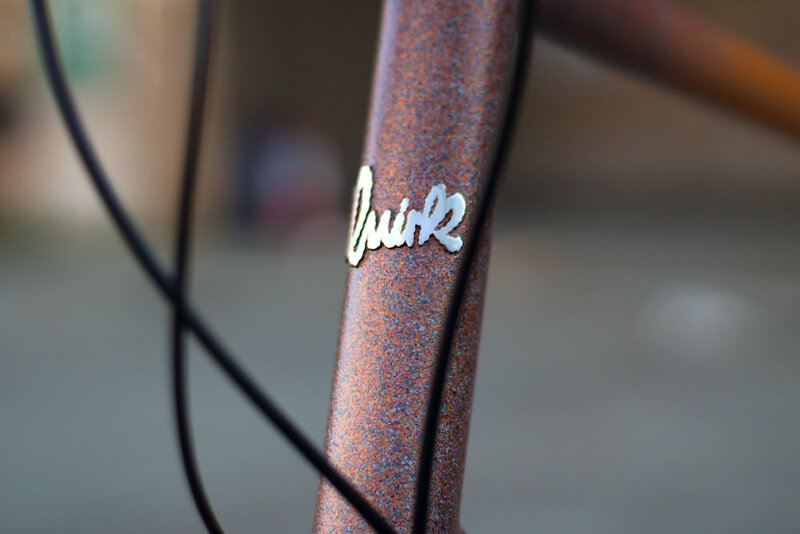 Ben’s very special gravel grinder — Quirk Cycles | Custom Steel Bicycles Handmade in London by Frame Builder Rob Quirk. Ben, being a very tall at 6'9", just couldn’t find bikes to fit him. He came to us and when he maxed out the bike fit jig we knew it would take a lot of special measures to make this bike for him. We had to use two jigs to do his fit: one for the reach and one for the stack. The frame is made from a selection of oversized tubes. 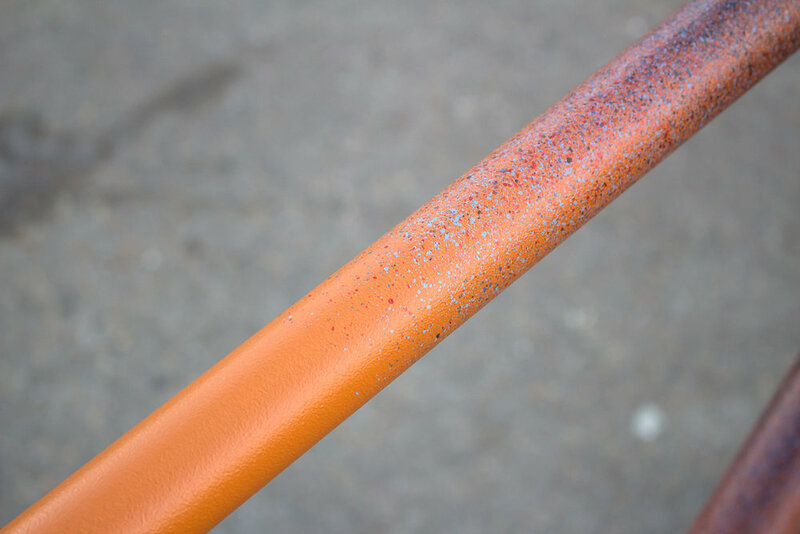 The down tube is a 42mm MTB down tube (the only one long enough), while the top tube is actually a 35mm down tube – no standard top tube was big enough for the job. We created a custom turned 300mm head tube, and fitted a Parlee Gravel fork as it was the only fork available with a 400mm steerer. The build itself utilised SRAM Rival for the groupset and fi’zi:k for the finishing kit. Despite the size, the whole build came in at just 10.4kg. 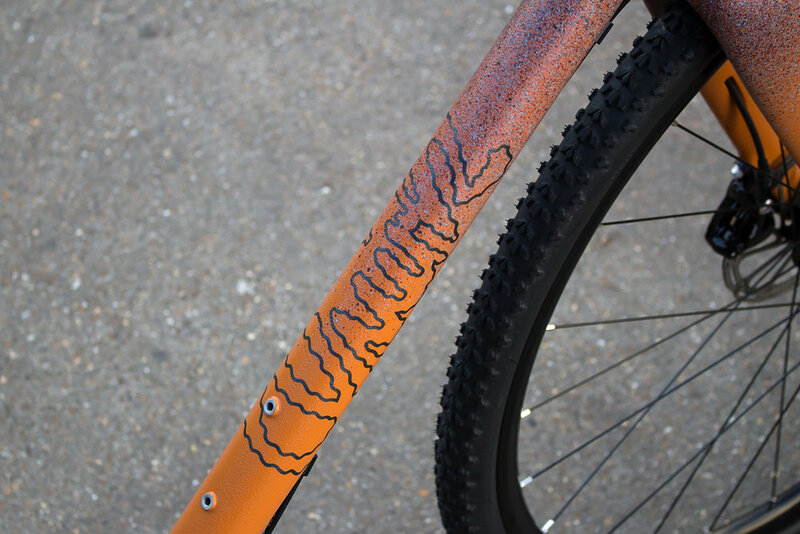 The paint job on this bike is absolutely stunning, using a ‘rubble’ paint – a super tough finish developed for industrial floor coating. The front end of the bike has an amazing splatter effect using a mix of metallic bronze and blues that shimmers and sparkles in the sunlight.